Analysts at Wedbush downgraded Smith & Wesson Holding Corp (NASDAQ: SWHC) from Outperform to Neutral. The price target Smith & Wesson has been raised from $24 to $26. Smith & Wesson shares closed at $25.86 on Tuesday. Nomura downgraded PNC Financial Services Group Inc (NYSE: PNC) from Buy to Neutral. PNC Financial shares closed at $93.29 on Tuesday. 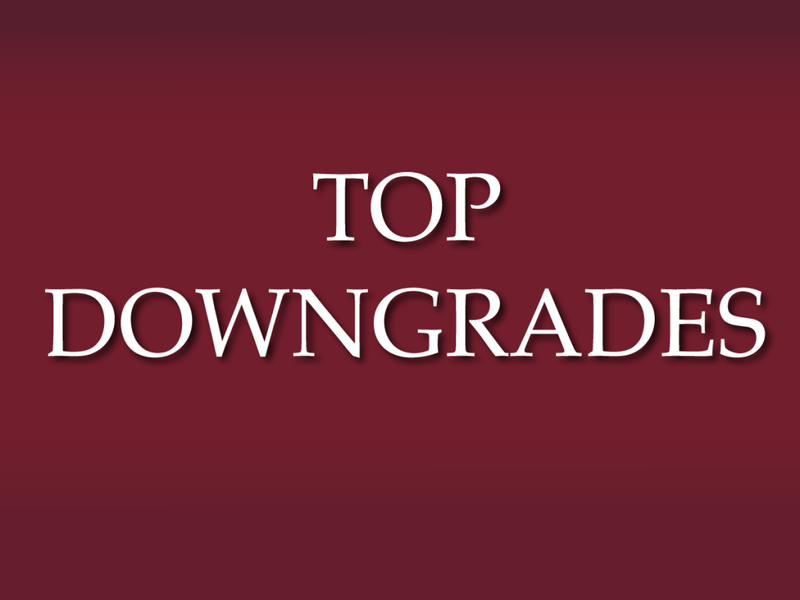 Analysts at Sterne Agee CRT downgraded United Technologies Corporation (NYSE: UTX) from Buy to Neutral. United Technologies shares closed at $95.72 on Tuesday. Analysts at Longbow Research downgraded Rush Enterprises, Inc. (NASDAQ: RUSHA) from Buy to Neutral. Rush Enterprises shares closed at $21.39 on Tuesday. Analysts at Raymond James downgraded Cardinal Health Inc (NYSE: CAH) from Outperform to Market Perform. Cardinal Health shares closed at $89.68 on Tuesday. Analysts at Evercore ISI Group downgraded Becton Dickinson and Co (NYSE: BDX) from Buy to Hold. Becton Dickinson shares closed at $148.42 on Tuesday. RBC Capital downgraded WESCO International, Inc. (NYSE: WCC) from Outperform to Sector Perform. The price target Wesco International has been lowered to $50. Wesco International shares closed at $43.87 on Tuesday. JP Morgan downgraded Hyatt Hotels Corporation (NYSE: H) from Overweight to Neutral. The price target Hyatt Hotels has been lowered to $50. Hyatt Hotels shares closed at $45.70 on Tuesday. 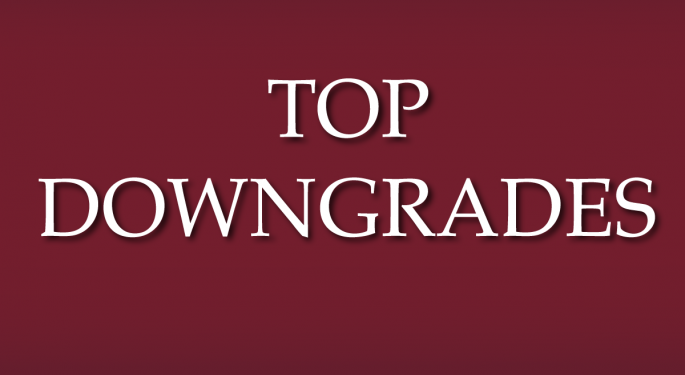 Longbow Research downgraded HCA Holdings Inc (NYSE: HCA) from Outperform to Market Perform. The price target HCA Holdings has been lowered to $74. HCA Holdings shares closed at $66.44 on Tuesday. Analysts at Barclays downgraded Workday Inc (NYSE: WDAY) from Overweight to Equal-weight. The price target Workday has been lowered from $84 to $80. Workday shares closed at $77.24 on Tuesday.